Sky Germany’s (Sky Deutschland) new broadcasting and production centre Sky Sport HQ in Unterföhring near Munich is considered one of the most modern sports broadcasting centres in Europe. Here the station produces numerous live sports broadcasts. 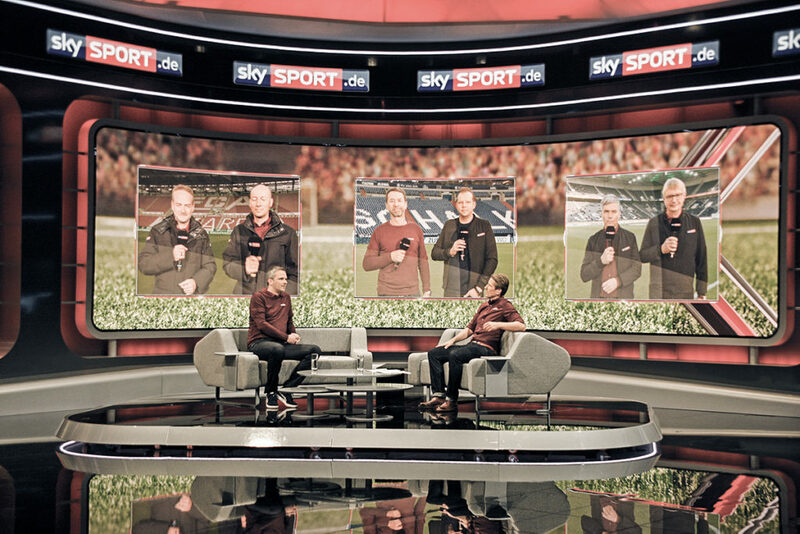 Thanks to a sophisticated concept and state-of-the-art technology, Sky Sport HQ has quickly become Sky Germany’s flagship TV broadcasting centre. However, this tremendous output requires an enormous effort in technology, equipment and, of course, many employees. To ensure that everything runs smoothly during the daily peak performances of the station, only the best technology was considered when equipping the new Sky Sport HQ broadcasting and production centre. G&D was therefore not chosen by chance to provide the KVM equipment. To ensure that the entire equipment runs smoothly and around the clock, it needs to be always available, reliable and redundant. For this reason, Sky Germany chose KVM products from G&D for the IT infrastructure of the broadcasting centre. These devices help move computers into a central technology room. In order to optimally implement the high demands of the production teams for live reports, the concept also includes a fully redundant structure for production and operating computers which also included removing them from studios, control rooms and post-production. 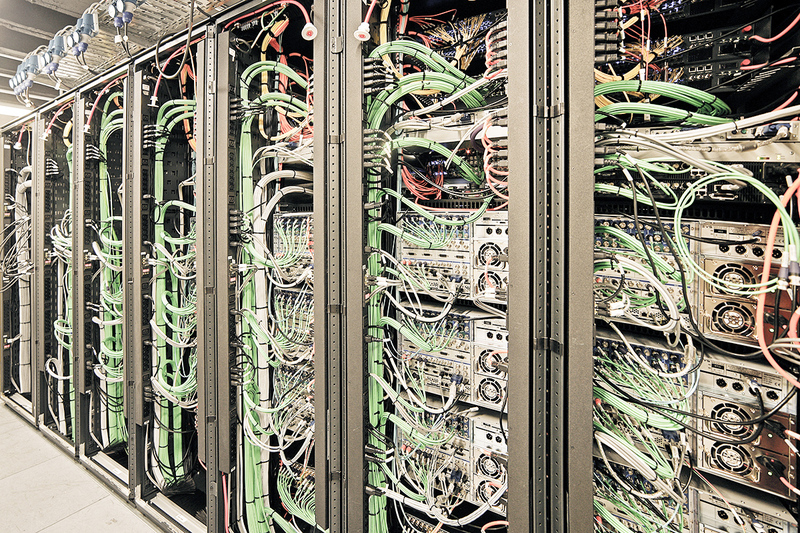 For this project, two completely mirrored, redundant matrix switch clusters, each consisting of a ControlCenter-Digital 288 were placed in the central equipment room. From here, they provide redundant access to the various user and computer modules of the individual systems. If – in the event of a fault – switching via one of the two matrices is not possible, the second matrix is used automatically. This way the production teams can carry out their tasks as usual at any time. G&D’s matrix grid function ensures that two existing matrix switches – two DP64 DVICenters – could also be integrated into the system. Thanks to this function, the systems communicate bidirectionally with each other. It also optimally links enormous systems like the one at Sky, allowing users more flexible access to the computer technology and helping individual production teams work together across departments. This not only increases flexibility, but also improves collaboration for live reporting. The central equipment room houses around 100 high-performance computers. They ensure that the Sky programme runs around the clock. Here, KVM technology helps move and connect the many different systems. 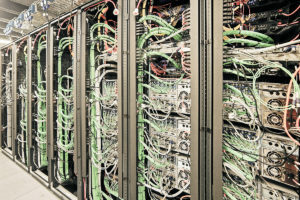 In order to make them available again at the workstations, the computers are connected to the central matrix switches via CPU units and CAT cables. VGA, DVI and DP computer modules were used to harmonize the heterogeneous computer landscape. All modules are UC variants, which enable a redundant connection to both ControlCenter-Digital matrices. Various DeviceCarriers make the racks look as tidy as possible. For the power supply, Sky relied on MultiPower-6 and MultiPower-12 power supply units. To facilitate the work of the creative teams working in Sky’s broadcasting and production centre, as many workplaces as possible are now computer-free. The different teams can easily access the remote computers using G&D KVM technology. Therefore, the workstations have been equipped with user modules for DisplayPort and DVI. In some departments, however, the computers had to be available locally and several computers had to be operated by the same producer. The first issue has been solved with installing KVM switches, e.g. DP-MUX2, at each of these workstations. Producers, in turn, are now able to use TradeSwitches to operate several computers with only one set of keyboard and mouse. 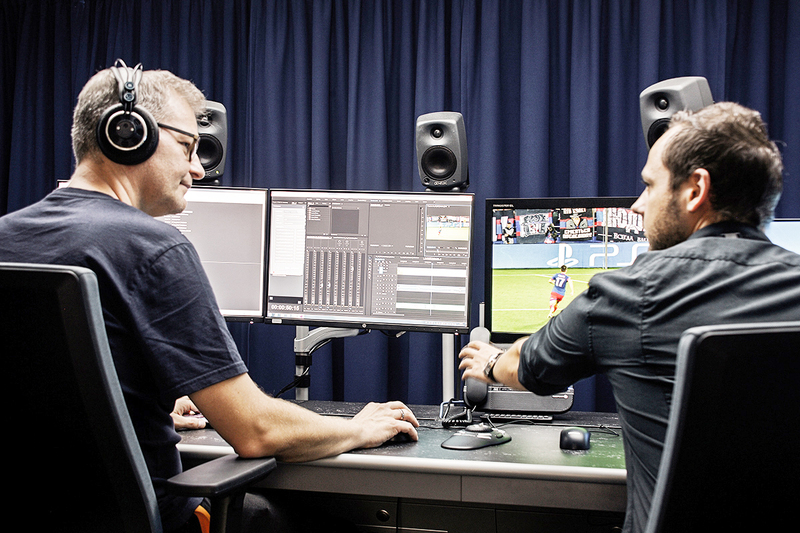 With their own production and broadcasting centre, Sky Germany gain maximum flexibility and above all even more freedom for future in-house productions. Individual workflows have been improved, making everyday production easier for everyone involved. The remote technology significantly reduced the noise level in studios and the various control rooms while IT administrators benefit from lower maintenance time. The future of Sky remains exciting. Europe’s largest pay-tv provider continues to grow and is committed to offering its customers the best entertainment. But with the best technology, Sky is well equipped for the future and for further growth in Germany. With around 5.2 million customers, Sky Germany is one of the largest pay TV providers in Germany. The station’s programme is available 24/7. Especially live broadcasts of sports events and the large number of TV series are extremely popular with viewers. These are the rules of the market: if you do not keep up with the times, you will be left behind all!